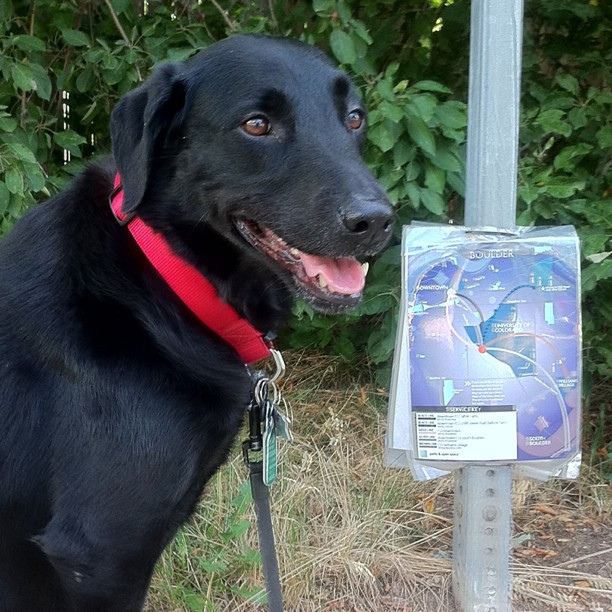 According to city spokesperson Wolf Barker, the City of Boulder Open Space and Mountain Parks department will expand the current dogs-on-open-space regulations (known as the Voice and Sight program) to include dog control based on all five senses: sound, sight, touch, smell and taste. Smell control, if implemented, would require guardians to carry a spray bottle filled with either chicken or beef broth. Touch control would require guardians to be able to identify their dogs while blindfolded. The latter could be important on a dusty, windy day, Barker explained.